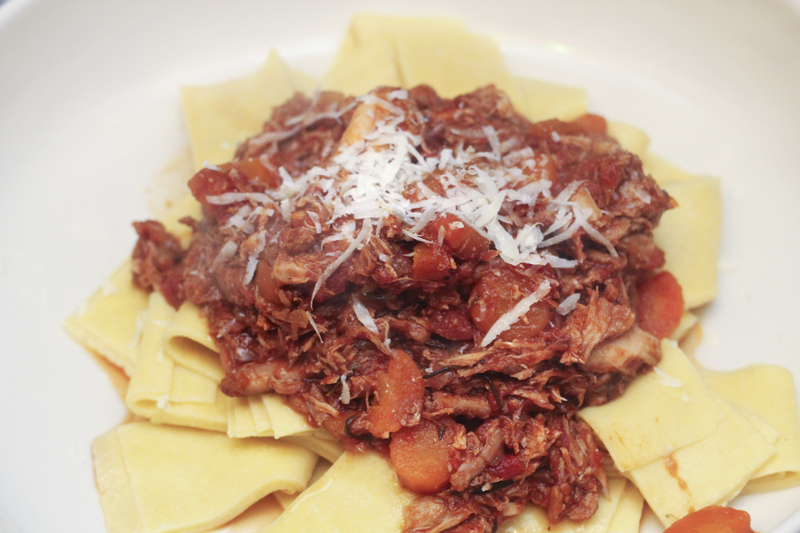 A few weeks back, in the spirit of early spring, we set out to make rabbit ragu over pappardelle. Beside the fact that Jake has had a major hankering for it, we thought the dish was the perfect way to deal with recent cool temperatures' unsuccessful attempt to stamp out our spring spirit. Our grocery list was simple - a whole rabbit and a bunch of carrots from the Green Market and some canned tomatoes and fresh pappardelle from Eataly. Then we hopped on home to get started! 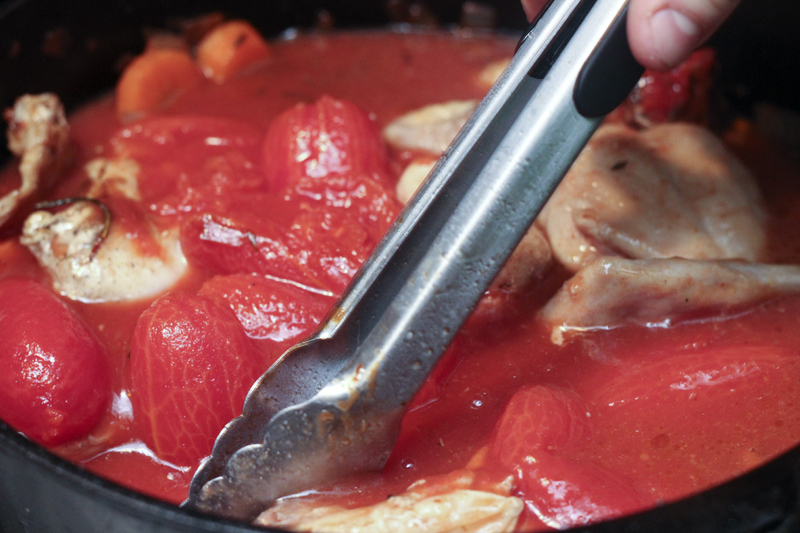 Jake quickly broke down the rabbit and threw together the stew - it was a cinch! The flavor was perfect and, without the heaviness of a bolognese, it warmed us from the inside out. Plus, the combination of the rabbit, wine, tomatoes, and carrots created a surprisingly intense and wonderful sweet and sour flavor! We can't wait to make it again - maybe next time with some wild rabbit... the Easter Bunny better watch himself this Sunday. 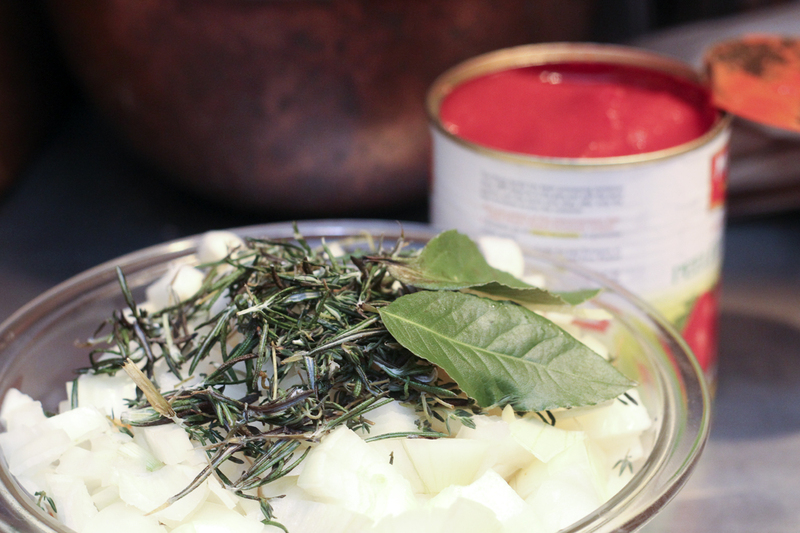 + 1 tsp finely chopped fresh rosemary. 1. 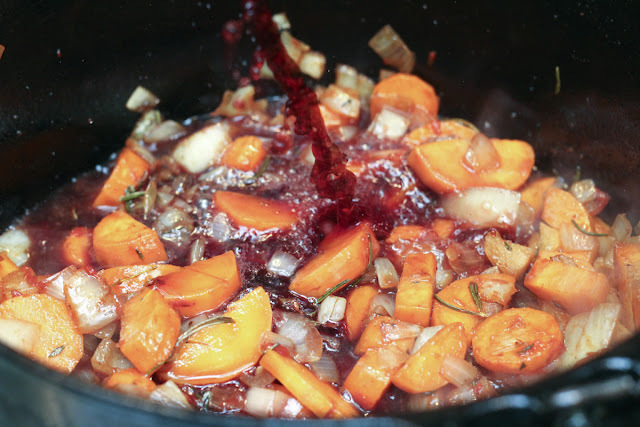 Place a large, heavy-bottomed pot over high heat. 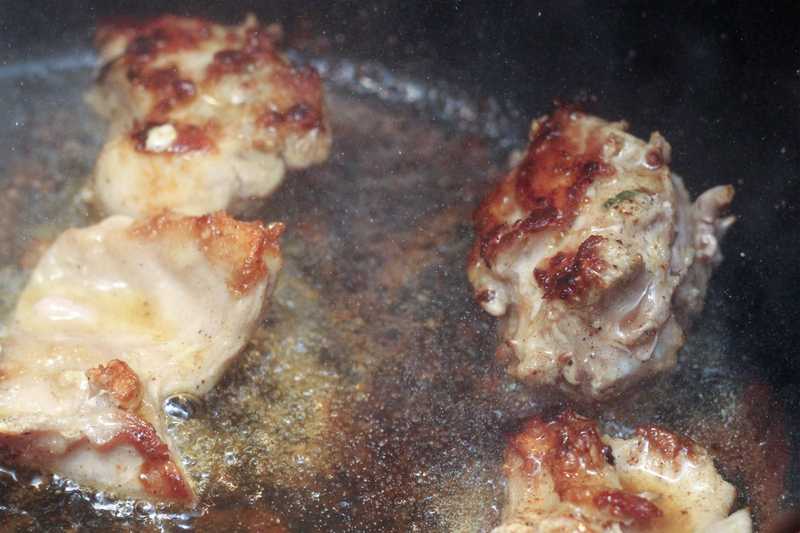 Add olive oil and when it shimmers add the rabbit. Brown in batches. Once all the rabbit is browned, put aside and turn down the heat to medium. 2. Add the onion and carrot. Sauté, stirring occasionally, until the vegetables are soft and caramelized (about 15 minutes). 3. Add wine and simmer until the liquid reduces by half. 4. Add the tomatoes, season with salt and pepper and bring to a boil. Stir thoroughly and reduce heat further to low. 5. Simmer, with the lid slightly ajar, until the meat is tender and nearly falling off the bone, about 2 hours. 6. Remove rabbit pieces from the sauce. When cool enough to handle, remove the rabbit meat from the bones and shred. Return meat to pot. Add thyme and rosemary, and season with salt and pepper. Reheat gently before serving. Serve over polenta or fresh pasta!